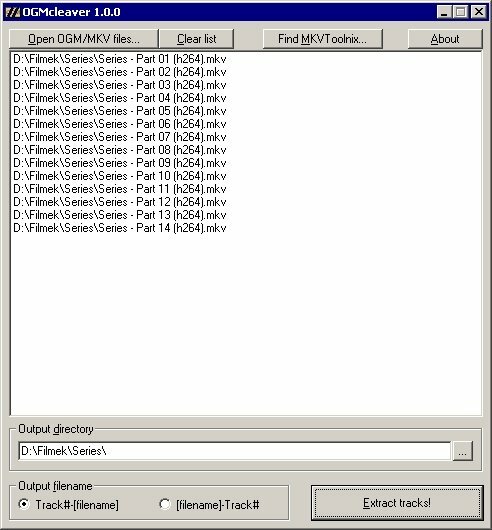 This little program extracts video, audio and subtitle tracks from OGM and MKV files. It is basically an oversimplified GUI for OGMTools and MKVToolnix. This little program extracts video, audio and subtitle tracks from OGM and MKV files. It is basically an oversimplified GUI for OGMTools and MKVToolnix. Files to be processed can be added using drag-and-drop. It is displayed what kinds of tracks are present in each file. Tracks to be extracted can be choosen.